In an alchemical ritual gone wrong, Edward Alric lost his arm and his leg. He was lucky...his brother Alphonse lost his entire body. 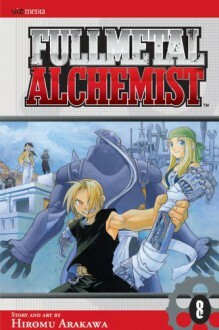 With Alphonse's soul grafted into a suit of armor, and the other brother equipped with mechanical limbs, they become government alchemists, serving the state on deadly missions and fighting the evil alchemists called the Seven Deadly Sins.